Secure and reliable Finnish server. SSL inc.
Use following info to log in. Are you interested about reselling? We are looking for dealers for different countries/areas with profitable dealership. We here at Note Shot Oy Ltd have over 12 years of experience about delivering cost efficient and easy to use POS-systems to several different industries. 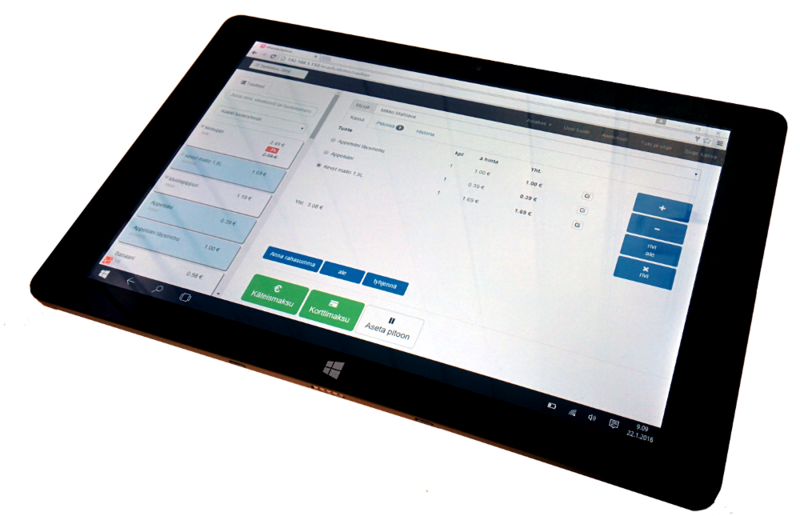 With all this experience we have put together a e-Kassa POS-System that works with different platforms from regular PC's to tablet and mobile devices, even phones. e-Kassa runs in a web browser, so it doesn't require installation. e-Kassa is available anywhere you go as long as you have access to internet. You can e.g check reports and edit your product's from your home computer or even with your smartphone. We are offering you a 30 days long free trial, so you have plenty of time to make sure e-Kassa fits for your business needs. e-Kassa ePos -system cost only 19,90 € per month. You can subscribe by sending us email at myynti(a)noteshot.com or from the dashboard.